Looking for cheap car hire in Dubrovnik? Compare prices and book online at the touch of a button. Simply choose your preferred pickup spot in Dubrovnik and type in the relevant dates and times, your car preferences and the age of the main driver then wait for a quote, compare prices and book your car online. Dubrovnik is the perfect city to explore by hire car and a number of other fascinating cities can be easily reached by road. Situated 20kms south of the city, Dubrovnik Airport is served by a number of major airlines and receives frequent flights from the UK. 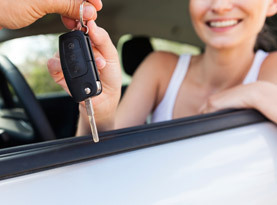 The best way to find cheap car hire in Dubrovnik is to plan ahead so that a car can be waiting for you when you arrive. After picking up your hire car in Dubrovnik you can head to Plitvice National Park to enjoy the lakes and hiking opportunities. Car hire is the quickest way by road to reach the city of Zagreb, which lies around ten hours away by car, while the journey to Split takes you across coastal roads and through traditional villages dotted with tourist attractions. Enjoying a typically Mediterranean climate, Dubrovnik sees wet but mild winters and long hot, dry summers. Summer is the best time to visit and enjoy the natural surroundings and beaches although winter city trips can be enjoyable too.